Apple announced its annual chart of Best Apple Apps 2017 on App Store. This year they highlighted not only the best and most popular apps, but also defined the apps that demonstrate the most recent technology and business trends. As a digital design & technology agency, we both build our own iOS apps and learn about success stories and best practices from other developers. Obviously, it’s not a once-a-year exercise. Yet, it’s always particularly interesting to strike the balance at the end of the year. Last year it was Pokemon Go that demonstrated the power of AR. This addictive game was in focus for a long period of time. Apple invested in the technology development and introduced ARKit, a framework that helps developers implement AR experiences on mobile devices. Since then, a set of games and iPhone apps that leverage ARKit capabilities were pushed to the store. The benefit of these games is obvious. It’s a completely new exciting experience for players to see virtual objects projected on the real world. However, I find practical application of the technology more interesting. 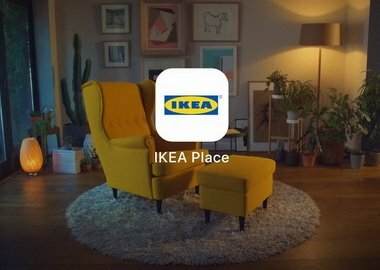 The app lets you put Ikea’s products virtually at your place and check how it fits your rooms in terms of style and furniture's size. It contains 3D and true-to-scale models of sofas, armchairs, coffee tables and much more. It’s pretty easy to use. Scan the empty place in the room with your camera, search the list of available products and select the desired one. Then, point the camera towards the space and drag the product to the point you want to place it. On top of practical benefits, IKEA Place is the best app to play around with. What’s so special? This is the proper and good fit application of AR technology that can save time and money for end users. Jokes apart, it’s really a pain to measure your room checking what furniture size you can fit in. In general, Augmented Reality has big potential in retail. This technology can finally bridge the gap between customer perception and the reality of products. Human Anatomy Atlas 2018 creates a new and transformative learning experience that enables app users to visualize gross anatomy and microanatomy from a 360-degree perspective, just like they would do in a real lab setting. Thanks to the AR technology behind it, users can place a virtual human organ or complete human body onto any table in any room. What’s so special? Healthcare and education are another areas to benefit from the application of AR. By viewing augmented models, students can get a better understanding of the field they are studying. One of the best Apple apps in the category, Human Anatomy helps not only learn body structure, but also study diagnostic images that allow future doctors to detect diseases. Artificial intelligence and machine learning market keeps growing. There’s no surprise nowadays almost every business collects and stores plenty of data. Thus, it can find a good case for leveraging machine learning capabilities to enhance its service or product. Today, popular iPhone apps for photo editing are powered by ML. But not only. More and more apps use ML for classification, predictions and recommendations. Fabby brings selfies to the whole new level. 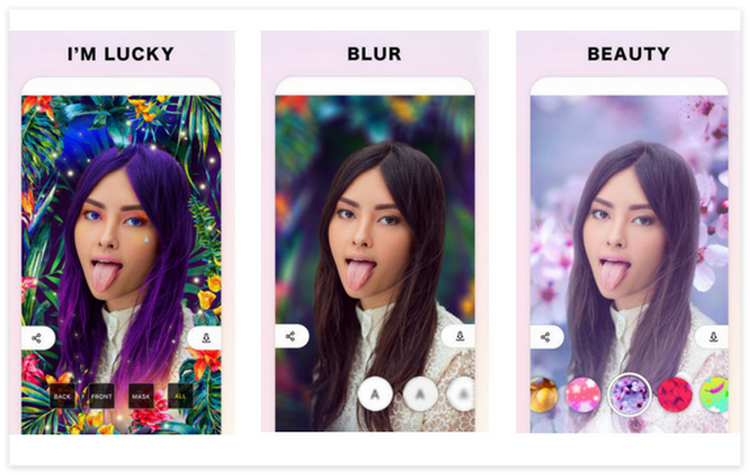 Instead of traditional filters and brightness adjustments, Fabby uses neural networks to turn your selfies into professionally designed portraits. In addition to photo editing, it provides powerful tools for video. Fabby users can add various effects to video and image backgrounds and augment shots with sound effects. What’s so special? Fabby is a proof-of-concept app created by a startup founded in Belarus. AIMatter built both the app and a neural network-based SDK to detect and process images quickly on mobile devices. Fabby showcases the use of computer vision in everyday life by automating image understanding. Eventually, this type of technology will free people from monotonous tasks and allow them to take on more intellectually complex responsibilities. By the way, this year AIMatter startup was acquired by Google. Yelp helps people find local restaurants, read expert and customer reviews and discover other types of businesses from hair salons to trusted doctors and movers. Yelp is well-known thanks to thousands of unbiased customer ratings, reviews and advanced search capabilities. In fact, it's one of the best Apple apps to search items by neighborhood, distance, rating, price and even operation hours. Moreover, Yelp users can make reservations at restaurants, order food delivery or pickup, book appointments at beauty salons and much more. What’s so special? Yelp is not a new app. However, it was noticed by Apple in “Machine Learning” trends section. As many other companies, Yelp manages huge datasets, photos in particular. 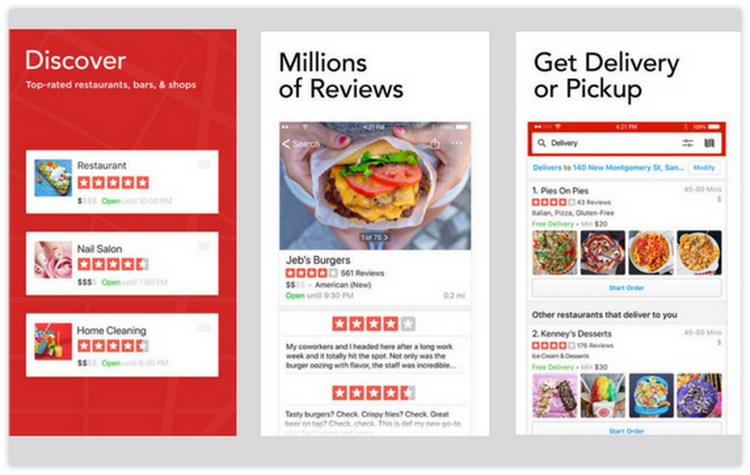 In the past, Yelp relied on customers’ photo tags to identify places and sites. But as the database was growing, it became more difficult to manage it. Now, Yelp’s software applies image analysis techniques to identify color, texture, shape, etc. This powerful AI-based engine can recognize the availability of, say, sushi or pizza in a menu, or whether a restaurant has outdoor seating and would be “good for kids.” Rumor has it that Yelp applies ML to detect fake reviews and make sure that customers get only honest opinions about local businesses. Apart from Machine Learning, Natural Language Processing is another digital trend of the year. Chatbots and voice assistants hit the market and create a new way of communication between users, technology and brands. Recently, Apple has launched SiriKit which allows any iOS app integrate with Siri and enable voice interface. It’s worth noting that voice is one of the most natural and fast interfaces known. Therefore, there’s no doubt app developers are happy to add Siri to their iPhone apps. PayPal app allows to send money or pay online as well as manage all the ways you transfer, receive and spend money. It has an easy-to-use interface that enables PayPal account holders to transfer money in over 100 countries for various purposes, for example, collect money for a group purchase or sell something online. What’s so special? PayPal keeps innovating and enabling new technologies for the benefits of end users. The company uses deep learning to detect fraud transactions. ML algorithms mine data from customer’s purchasing history and analyze thousands of data points in real-time. If any unusual pattern is revealed, it indicates and helps to detect fraud. In addition, deep learning system is able to recognize deceptive merchants and get smoothed out on the sales of illegal products. This is what happens on its backend. But on the front-end, PayPal introduced a voice interface for sending and requesting payments. Uber app has changed the way we travel around the city forever. Today, this is the simplest way to find a ride that matches your expectations in terms of time and money. Uber is available in more than 500 cities worldwide, so you don’t need to worry about your rides when you travel on business or for leisure. What’s so special? Uber is one of the first Siri-enablers. 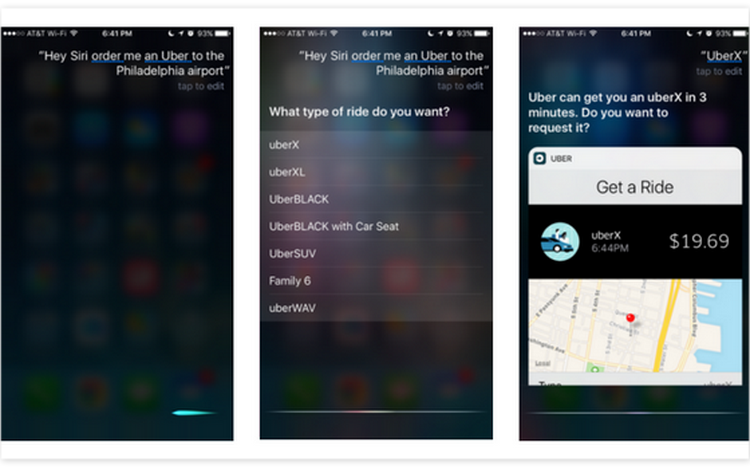 The feature to order a ride via simple Siri commands was introduced in 2016 on WWDC event. Yes, it doesn’t make it an achievement of this year. Still, it’s a very good example of successful technology implementation. The lack of Siri integration use cases can be explained by the novelty of the technology. In fact, it’s always worth to learn how to enhance a product with voice capabilities from the best apps on store, even if these apps stay popular without new perks. On the other hand, voice interface has its own benefits and target audience. Ekibo is a character that turns your journey around Japan into a real adventure. 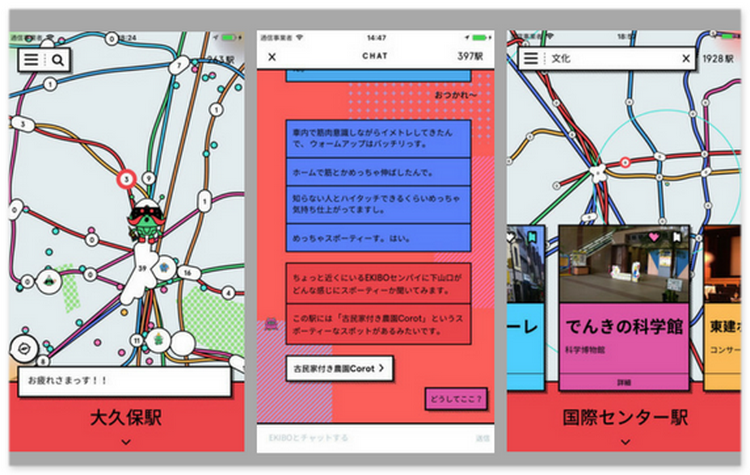 This app was awarded as an “App of the Year on iPhone” in Japan. What’s so special? The Apple app uses chat interface to engage users. It’s an innovative and creative game with addictive mechanics and a serious technology inside. First of all, it has a powerful NLP engine that improves dialogs over time. Conversations with people make Ekibo’s AI vocabulary grow. There’s more. The app supports ARKit. It allows to take and collect AR photos & video of the Ekibo from all around Japan. In short, it’s a Tamagotchi 2.0. Wearable is a recent disruptive development in consumer electronics making its way to mainstream. Apple Watch plays a major part in this process. Nowadays, top apps enable various integrations with Apple Watch and other wearables as well as applications that track your health such as Health app by Apple. In general, wearables are the part of Internet Of Things trends. And recent numbers published by Statista estimate that there are about 20bl connected devices registered around the world in 2017. However, connectivity is not only about the devices, but also about data streaming and analytics. You can manage your daily food diary, track your activities and lose weight using YAZIO Calorie Counter App. 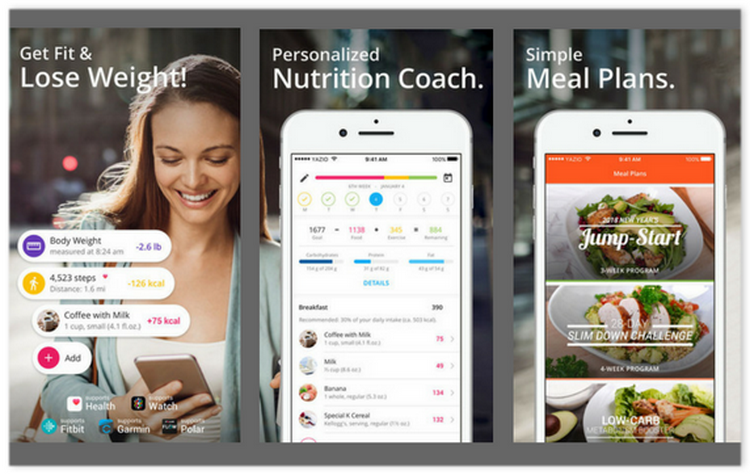 This app allows to create a personal plan on how to lose weight or build muscles, provides a nutrition tracker and food diary for all meals, tracks daily steps walked, sports & exercises. Thanks to a vast database with 2 million accessible foods, calculating calories with YAZIO is simpler than ever. What’s so special? The idea behind the app is significant, as it covers different aspects of your physical health: diet, activity, sports. Obviously, the implementation should be not less significant. YAZIO app is designed for both iPhone and iPad and can be controlled with Apple Watch app. Moreover, it syncs with Health App and other popular fitness apps such as Fitbit, Garmin, Polar. Cost: Basic is free on App Store, Premium goes for $19.99/3 months. 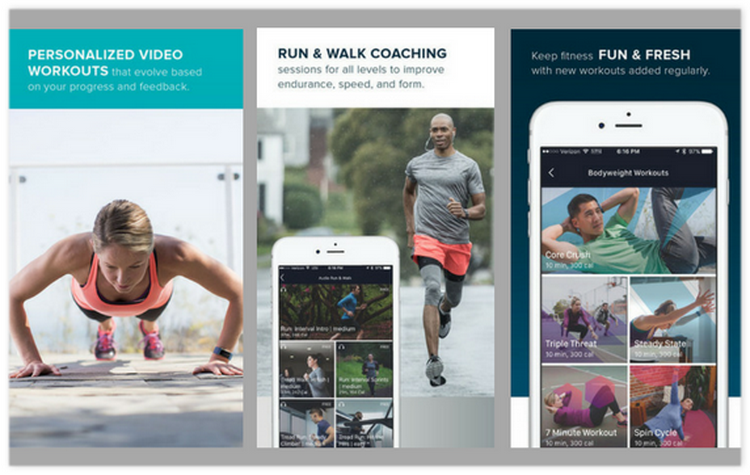 Fitbit position their app as a personal trainer. This popular Apple app provides personalized workout recommendations, sets fitness goals with bodyweight, run and walk workouts. Dynamic workouts are adjusted according to feedback, goals, exercises and daily activity tracked with a Fitbit device and user capabilities. What’s so special? There are many fitness apps on the market. Most of them are paired with wearables. Fitbit has a serious competitor – Apple Watch. However, the device is not the only thing that matters. Many app users go for Fitbit on iPhone and iPad because of mature and advanced workouts that virtual coach provides. “With one of the world’s largest health databases, Fitbit is able to provide deeper, more meaningful insights to help you stay on track, get encouragement when you need it most and celebrate your successes to keep you motivated. This type of personalized coaching will enable people to build healthier habits and have better success in achieving and maintaining their health goals,” said the member of the Fitbit Advisory Panel, Dr. Sherry Pagoto, professor of medicine at the University of Massachusetts Medical School. Cost: Basic is free on App Store, Premium goes for $7.99/month. 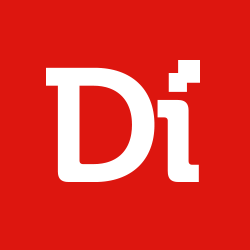 Apart from the new technology trends, efficient UX and pixel-perfect design are always a must. It doesn’t matter what technology stands behind, it’s hard to win users’ hearts without clear UX and clean UI. Apple Design Awards are usually announced in summer. That’s why this category is missing from yearly awards section. However, it’s always easy to recognize the leaders. What’s so special? 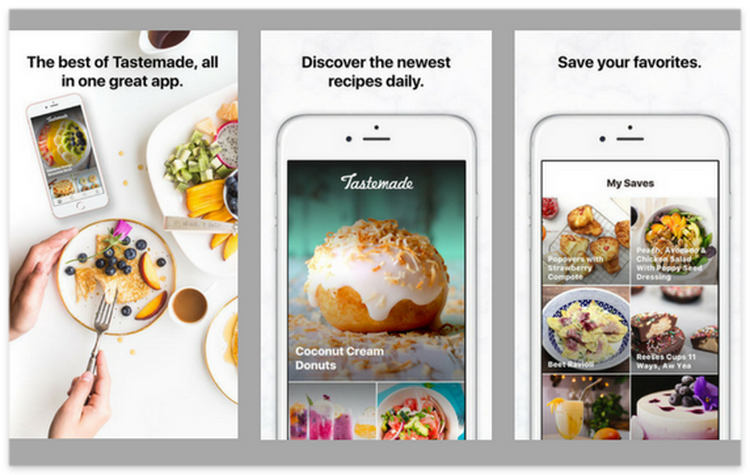 Tastemade is a multimedia experience for users with video, text, images sharing options available across different iOS devices such as iPhone, iPad and Apple TV. The content is a king in the app. User experience is focused on engaging videos and amazing photos. Tastemade creators took care of every tiny detail, such as small animations for navigation and friendly gestures. These design elements encourage customer engagement and contribute to the Best Apple App 2017 name. Enlight Videoleap app allows user to edit videos right on mobile devices. It has a great set of features for both consumers and pros. Videoleap’s core engine allows users to animate objects in a video with the keyframe timeline; the app supports various special effects such as Prism, Defocus, Colorfy, Pixelate, Chromatic Aberration and more! Visual elements can be layered with multiple blending and mask modes. In addition, there are advanced color adjustment features built on top of this photo editing app. What’s so special? Complicated tasks don’t have to look or feel complicated. That’s what Lightricks did. They’ve created a video editing app for iPhone that is easy and intuitive in terms of design and UX. In other words, they’ve built a mobile video production studio for end users that allows to make Hollywood-level edits in a few minutes. By the way, this is the second app built by Lightricks that attracted Apple and user’s attention and was honored Best App 2017. The startup has already won the Apple Design Award for a photo editing app. Cost: Free, but has a subscription-based model for advanced features. There are many apps that deserve attention because of powerful technology, quality design or interesting business idea standing behind them. As usual, the apps highlighted by Apple within annual awards are worth studying. The sum up takeaway for 2017 Best Apple Apps awards, therefore, comes up with an interesting trend. We see how the backend behind successful apps evolves. More complex technologies, such as big data, streaming analytics, Machine Learning, AI, NLP power the top iOS apps. It proves we live in remarkable time when a phone actually transforms into the whole world in your pocket.